My name is Carl Ehrlich and I'm the Director of Flagstar McLean (formerly "McLean Flag"). However it was you found us, we're glad you did. As always, I want to begin by thanking Joel Stillman and McLean Youth Athletics. They're a wonderful parent organization and I'm proud to be on the MYA team. The most honest introduction I can make is -- I'm pumped to be here! I love sports, love coaching, and love being around a community of positive, energized people. After four seasons of football for the Harvard Crimson, and a season of "professional" football (if you can call it that) in Valencia, Spain, I love being on the other side of the whistle. I'm grateful for the chance to spread the game of football in a fun, safe environment. And to do it alongside such incredible people! My staff and I are here because we believe in sports. We believe that outside home and school, athletics fields are the third most important place for children. We believe their athletic experience should mirror their personal development, so we work to impart (and embody!) the values, habits and conduct we'd like to see in our young adults. That includes everything from teamwork to humility to being silly and enjoying ourselves. We also believe in inclusion. We are a recreational league and that's all we aspire to be. Everyone is welcome. Give us your athletes, your academics, your kids with two left feet. All children need a place to exercise, compete and play on a team; all children will find that opportunity here. We believe our program has two goals: Get Better and Have Fun. We begin each season with these goals in mind and end each season with them as a benchmark for our success. Will you join us this season? We're going to have a great time and we'd love to have you! "FLAG STAR FOOTBALL IS THE ABSOLUTE HIGHLIGHT OF OUR SPORTS SCHEDULES. Every time we step on the field, there's a ton of positive energy, great coaching and -- most importantly -- FUN!" "WE ARE BEYOND THRILLED WITH FLAG STAR - - it's exceeded all our expectations. It is by far the most organized, well-managed league we have ever joined. The coaching has been top-notch and and our son has learned an incredible amount since he first started playing. But most importantly, he has fun!" "Dear Carl and Flagstar McLean, Thank you for your wonderful after school program! We can't wait to sign up again in the spring. Our son is 9 and this was his first time playing flag football. It was great watching him leave the field sweaty and excited about the game. Your coaches were friendly did a great job making everyone feel included. 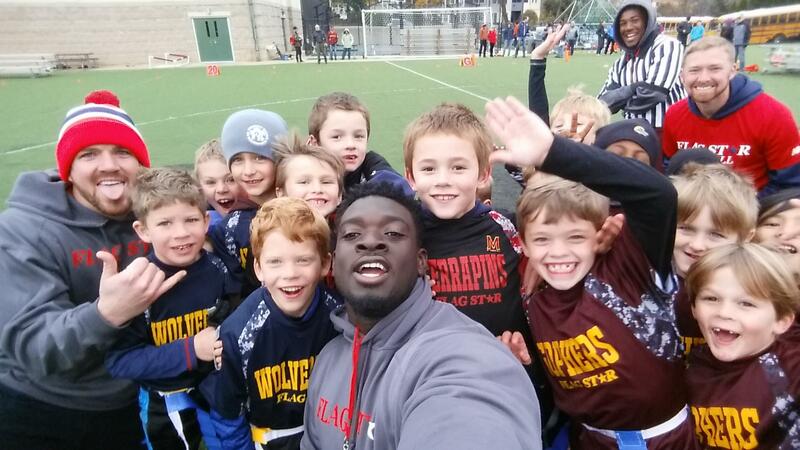 "My son and his friends are having an absolute blast with Flag Star Football. I'd encourage any one and every one to check out one of their programs!" 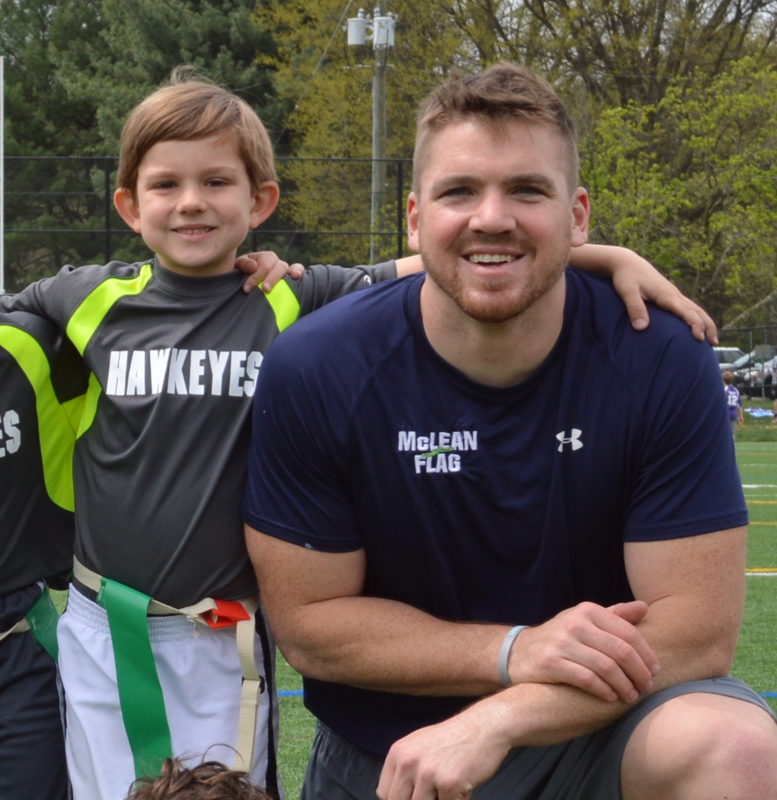 "My family has had kids involved at every level of Flag Star Football—as players, coaches and referees. Carl and his staff have created and foster a positive environment for the kids to learn the fundamentals of football and have a ton of fun doing it. Great people, great sport, great energy! I cannot say enough good things."